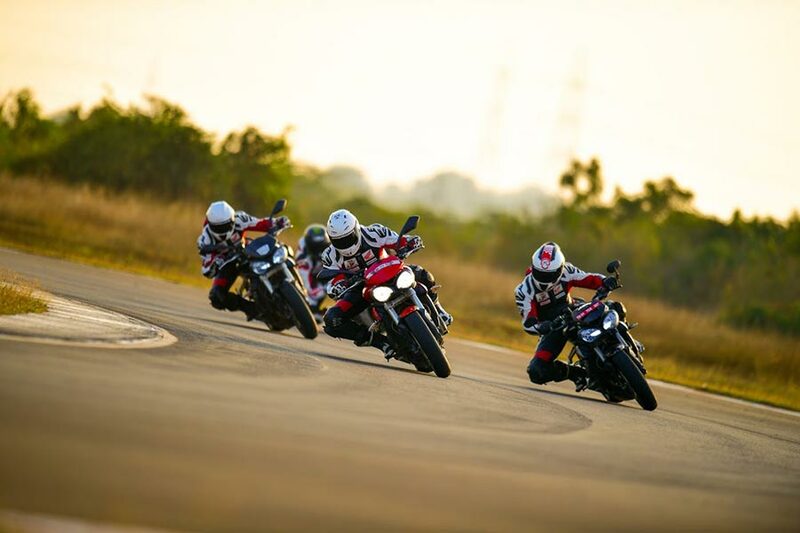 Triumph Motorcycles India further strengthens its association with the California Superbike School (CSS) for the fourth year in a row. With the aim to make world-class motorsports skills accessible to talented enthusiasts and to equip them with the responsible and safe riding practices, Triumph Motorcycles made their Street Triple range (RS and S) available to the trainers at CSS so they could impart specialised training and skillsets to all riders attending the training. The showstopper at CSS was the new Triumph Street Triple line-up (RS and S). These are machines that inspires complete confidence. With more power, lighter weight, and easier to ride design, Triumph engineers aimed for the simple and achieved it by creating the most perfectly balanced motorcycle. An equal blend of torque, responsiveness, agility, poise and purpose. The Street Triple range has won several industry awards lately and what better platform to celebrate this other than the CSS to bring out the best of both worlds, as the Street Triple is a perfect weapon for both the streets as well as the race tracks. Highly skilled track racing professionals have trained the riders using this motorcycle. Here is where the owners of the Street Triple range got to explore the best potential of their machines. Triumph has grown at a significant pace in India in the luxury motorcycle segment providing a complete riding experience. In fact, we have received an overwhelming response from our consumers and partners on our association with CSS (California Superbike School) and seen CSS grow and motorsports gaining ground here in India. Triumph’s exciting partnership in Moto-2 has also created a lot of positive conversations amongst the motor-sports fraternity here in India. Petrolheads owning a superbike is becoming popular in the country so it is imperative that we make provisions for the appropriate skill sets to keep owners safe while they make the most of their motorcycles. I personally feel this is a much-needed riding school where the curriculum is designed to improve your skills on a motorcycle, which in turn makes you a better rider. Enthusiasm among participants has been exceptionally high. The CSS module of training rotates between theory and practical sessions. There are three students per instructor which means that you are monitored closely and given constant feedback. Riders personally come up to us and share how CSS has improved their riding techniques. I would like to extend a very warm thanks to Triumph Motorcycles India for supporting us in this special endeavour and together we hope to build this partnership stronger. 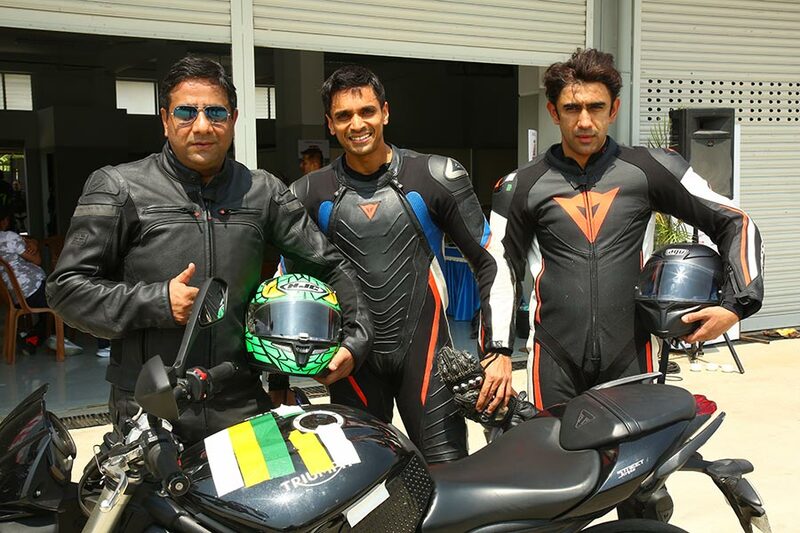 I ride my bike regularly in Mumbai but nothing beats riding it on the race tracks just as how it is meant to be. I am thrilled to a part of this training, not just because it will improve my riding skills, especially in the motorsports space. The California Superbike School (CSS), recognized as the foremost motorcycle racing school in the world, operates in 27 countries around the world. It was founded by the legendary Keith Code – the best-known and most successful on-track motorcycle instructor in the world. CSS first came to South East Asia in 2010 when it set up camp in India at the MMSC Track in Chennai and over the last eight years has trained hundreds of students successfully. Trained over three days, riders receive the most effective progression of skill sets ever devised for learning the techniques of riding and cornering.